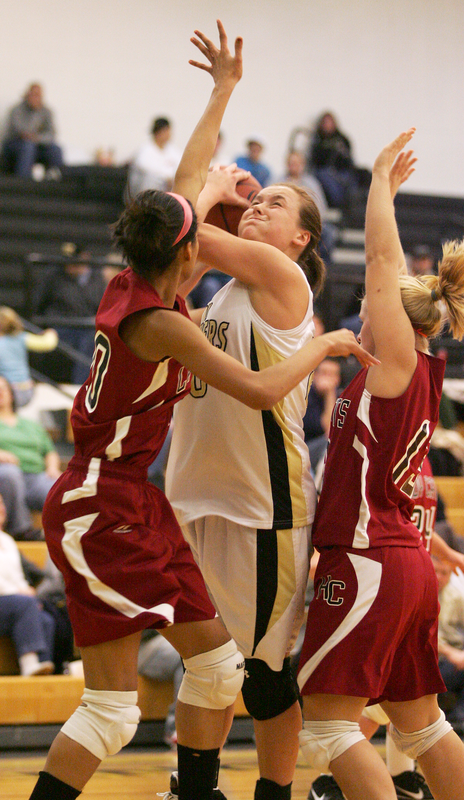 Sophomore Hannah Devine drives hard to the basket. Senior Sarah Osborne attempts a jump shot during the first half. 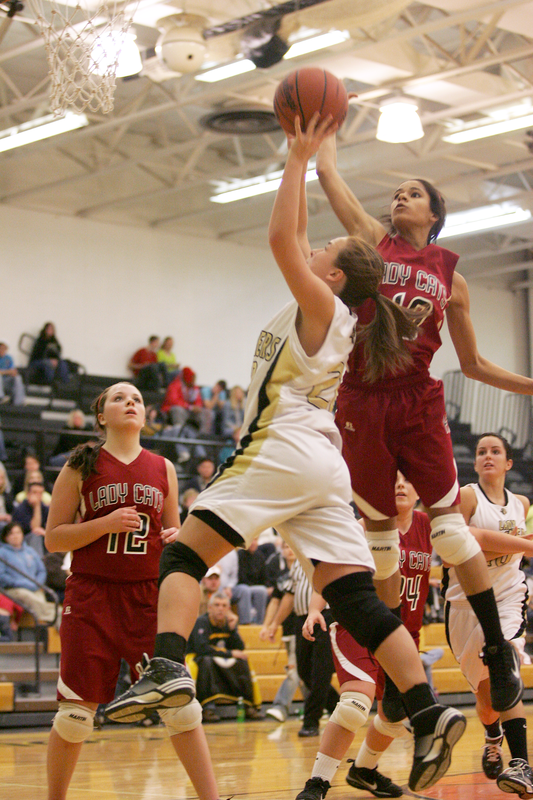 Devine has her shot blocked during the first half. 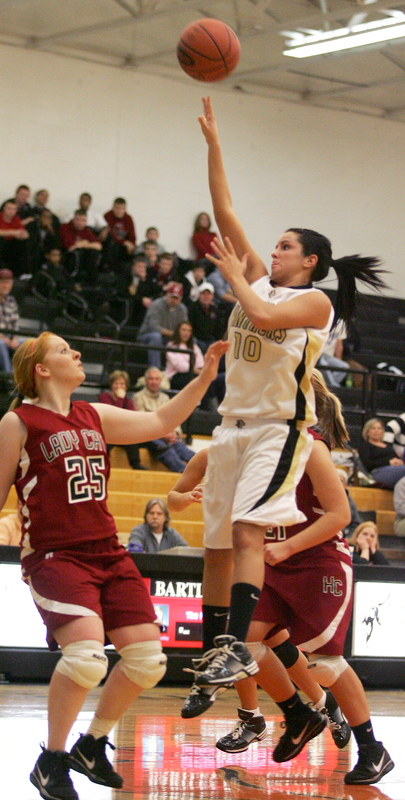 Senior Marissa Brindley shoots a floater in the lane during the first half.